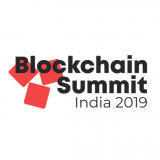 "Lets make India the Blockchain Capital"
Blockchain Summit India is a 2-day conference and exhibition connecting over 5000 industry leaders, policy makers, business decision makers, academia, tech innovators and startups and investors. BSI brings unmatched content and exceptional networking and funding opportunities. A purely emerging technology focused audience. Time management start and end each session on time. Holiday Inn New Delhi Mayur Vih..